Experts and Woodside students are skeptical about the new Harvard report. 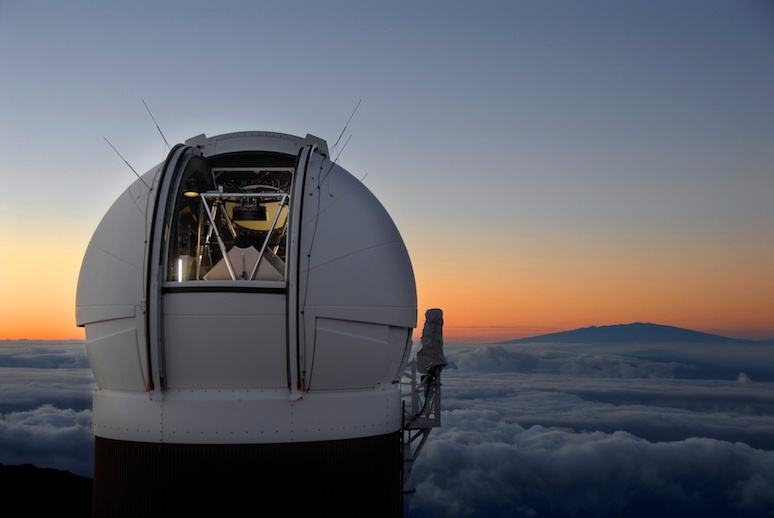 The Pan-STARRS telescope in Hawaii discovered 'Oumuamua in October of Last year. Two scientists from the department released a report last week revisiting the sudden acceleration of the cigar-shaped ‘Oumuamua asteroid that flew by Earth in October of last year. The report, which was co-written by the chair of Harvard astronomy department, Abraham Loeb, and fellow professor Shmuel Bialy, gives many explanations for this occurrence. While the asteroid has been floating around for many years, the story starts back in October of 2017 when the Pan-STARRS telescope in Hawaii found the first interstellar object ever to enter our solar system. Scientists named it ‘Oumuamua, which means “a messenger that reaches out from the distant past” in Hawaiian, to honor its far journey. After taking a few days to pass, researchers immediately noticed something different. The co-authors argue in the paper that because of its far journey, cigar-like shape, tumbling nature, and speedy exit, ‘Oumuamua may be of “artificial origin“. But even with the paper’s mountains of evidence and meticulous calculations, many experts still disagree with the theory. The same sentiment was shared by many Woodside students as well, many of whom agreed that the report was not convincing enough. Space agencies like NASA in the past have built many long range radios and telescopes like the Allen Telescope Array (AHA) in Hat Creek, CA in order to monitor and search for signs of alien life. These are vital as they monitor for movement and radio waves from deep space in the hopes of finding communication from an extraterrestrial life form. Last year, the AHA did check for signs of technology on ‘Oumuamua but didn’t find any evidence of it, partially contributing to the speculation over this new report. Unfortunately, the asteroid is already long gone, and out of the reach of Earth’s telescopes, meaning scientists cannot double check the AHA’s findings and see if there is evidence of alien life, but that does not mean agencies are giving up on the search of life on other planets. “The search has barely begun– but the age-old question of ‘Are we alone in the universe?’ could be answered in our lifetime,” the SETI institute’s website boldly proclaims.